for all your bedding needs! Smart Industry Products supplies mattresses & accessories to the Camping, Hospitality Educational and Healthcare Industries. Mattresses are produced utilizing state-of-the-art technology and high-grade raw materials so they are "green" or environmentally friendly. 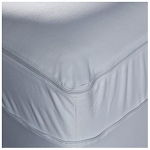 All mattresses are made to order so any size can be made, all at standard pricing, without any premiums paid for or unique or custom sizes. for additional information and for a personalized quote!